Sansons famous map of the Great Lakes which would influence the cartography of the region for the next 100 years. 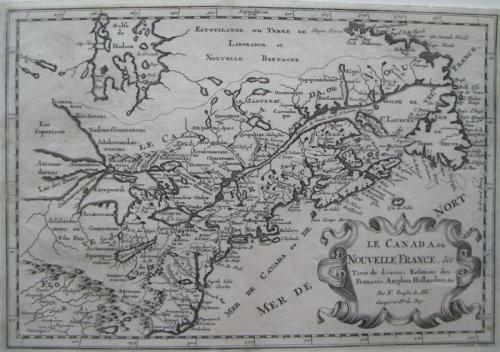 Along with Sanson's Folio map, this map includes many firsts and changes of great note. First appearance of Lake Erie ou du chat, which referenced the panther like qualities of the local Indians. Much improvement in the drainage of the Great Lakes and St Lawrence. A strong print in very good condition, with a repaired 1 cm tear to the top margin.